Hey y'all and happy FRIDAY! Woot woot! Today Miss A has a doctor's appointment which happens to be perfect timing because I think she's getting her first cold. Bless her happy little runny-nosed heart. Also, we might head on down to the bay house this weekend at some point just to join my parents and get a change of scenery. I do love being by the water even if its chilly out! I hope ya'll have a fabulous weekend ahead - cheers to the weekend and Friday favorites. Linking up today with April from A. Liz Adventures, Amanda over at Meet @ the Barre and Karli with September Farm. for Friday 5 and Friday Favorites. Join in! I made the one-pot lasagna soup that I shared last week and it was ah-mazing! 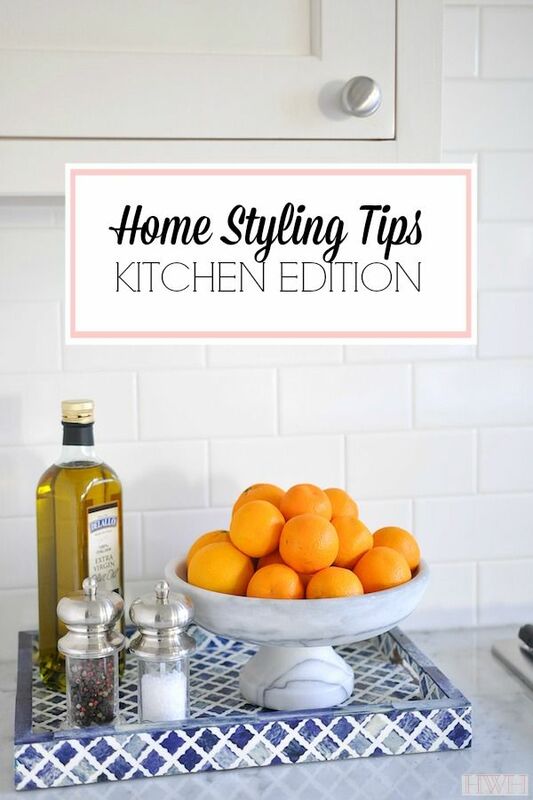 On Wednesday's What's Hap-pinning post I shared my favorite coffee table styling tips and now I've come across some of the same styling inspiration for your kitchen! 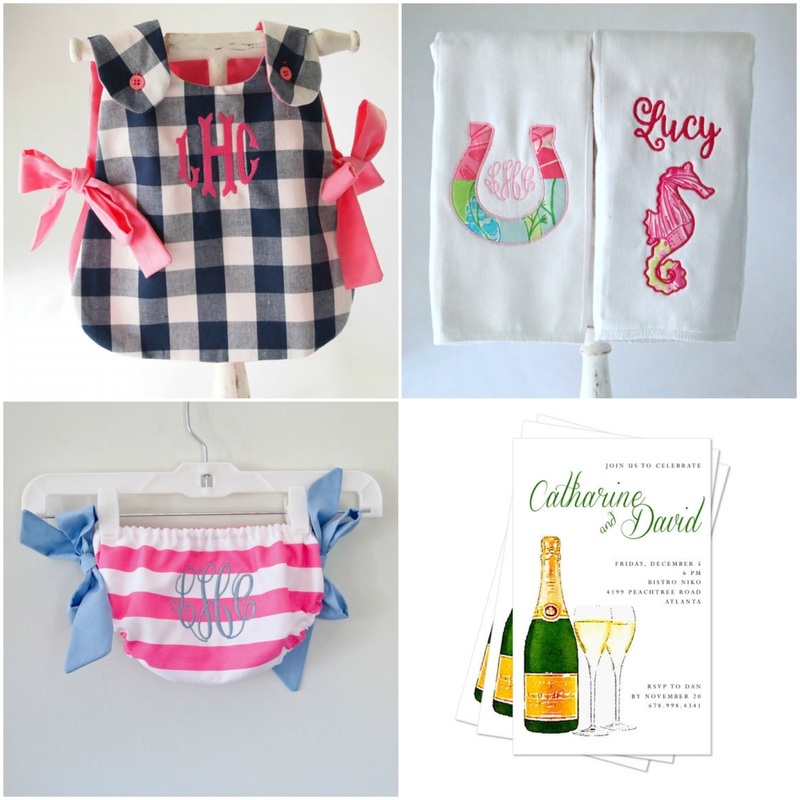 Ya'll have to check out this shop: E. Olsen Designs. Created by a fellow Hollins Alum, she does everything from monograms, stationary and home accessories and it is definitely worth checking out. so glad i came across your blog! hope you'll stop by mine as well! happy friday! Oh my gosh... that soup looks so good! I must use your recipe later.. hope you have a very fun weekend! Oooh that lasagna soup is calling my name! I want to make that this weekend!! I've had many a BLESS your heart moment and it sounds so much kinder than 'you're really ridiculous' haha! 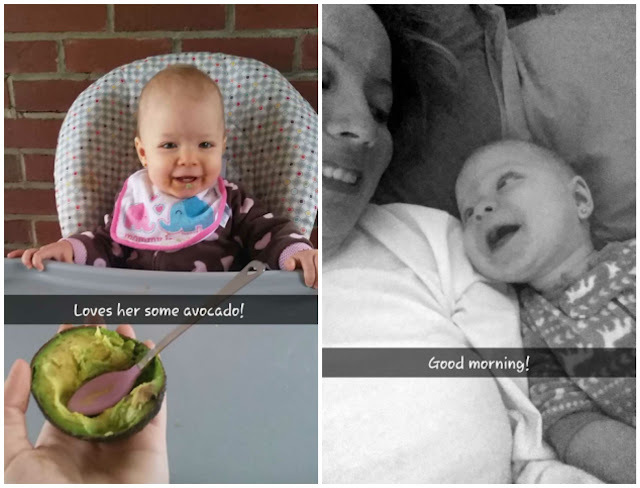 Such cute snaps! Oh no! I hope A feels better soon-Harper is sick also and its really the pits seeing them so pitiful :( Happy weekend! Happy Friday!! I hope A's cold doesn't last too long.. but doesn't that work out well when you have a Dr's appt anyway? I had a well-baby visit for Owen once and I was like "oh by the way... he's been tugging on his ear..." it saved an extra trip in! I sure hope that Andi feels better soon... poor thing! It's always so rough when your babies are sick. Hope y'all have a fun weekend! I drooled over that soup on your snap and now I'm drooling again! It looks SO GOOD!! oh that lasagna soup looks amazing! hope Andi's cold goes away quickly, that picture of the two of you is so precious. I can't wait to make that soup, I have saved the recipe and going to make it this weekend. I hope mine looks as good as yours! Andi isn't the only one with a cold, I am led in bed just getting over mine boo! I need to make that lasagna soup! It looks so amazing! :) Poor Andi with her first cold-hope she's feeling better soon! Thanks for the reminder about lasagna soup! I haven't made it in ages, but my family LOVED it :) It'll be perfect for dinner this week. Oh my goodness-I must try that lasagne soup, it looks amazing! And that etsy shop looks adorable! Mmmm. 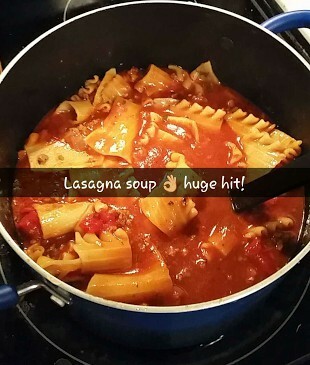 Lasagna soup! Amen to those funnies! Although I am trying to get rid of some stuff room by room and it's so hard! That etsy shop looks adorable! Going to check her out! That soup looks so good and I'm sure was perfect for the cold weather! We love lasagna soup...yum! Thanks for sharing the adorable etsy shop. She has some terrific listings!